It has reached that time of year when all I want is a giant piping hot bowl of soup for dinner. As you are likely all aware, it is freezing outside. Technically, it is way below freezing, but you get the idea. After bundling up tight with Bruno and heading out for our evening walk, I can’t wait to get back, ladle a big bowl of soup out of the crock pot, and warm up from the inside out. 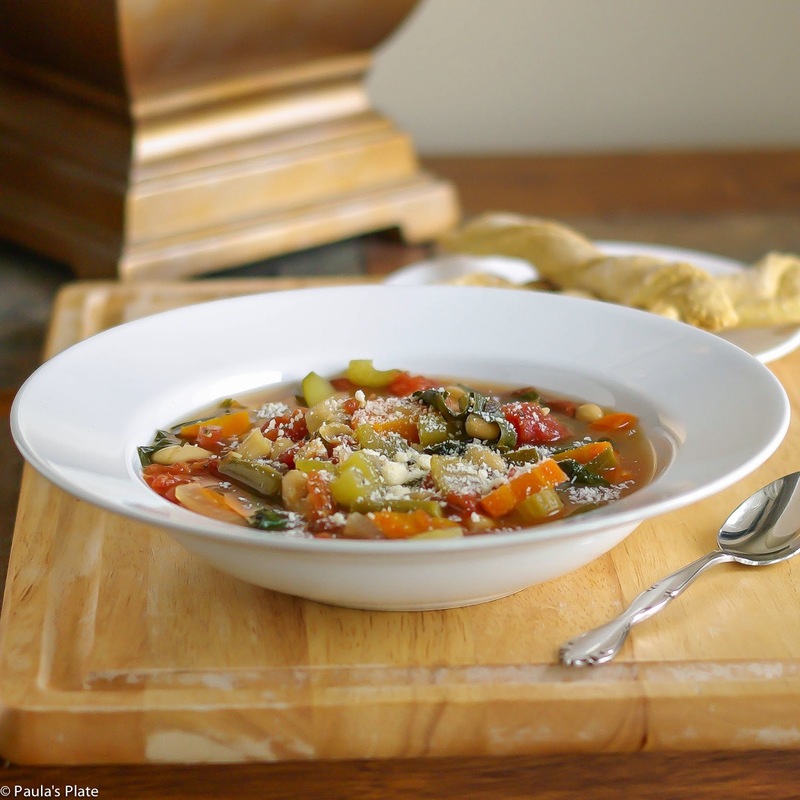 Minestrone is the soup du jour, and let me tell you – it’s delicious. 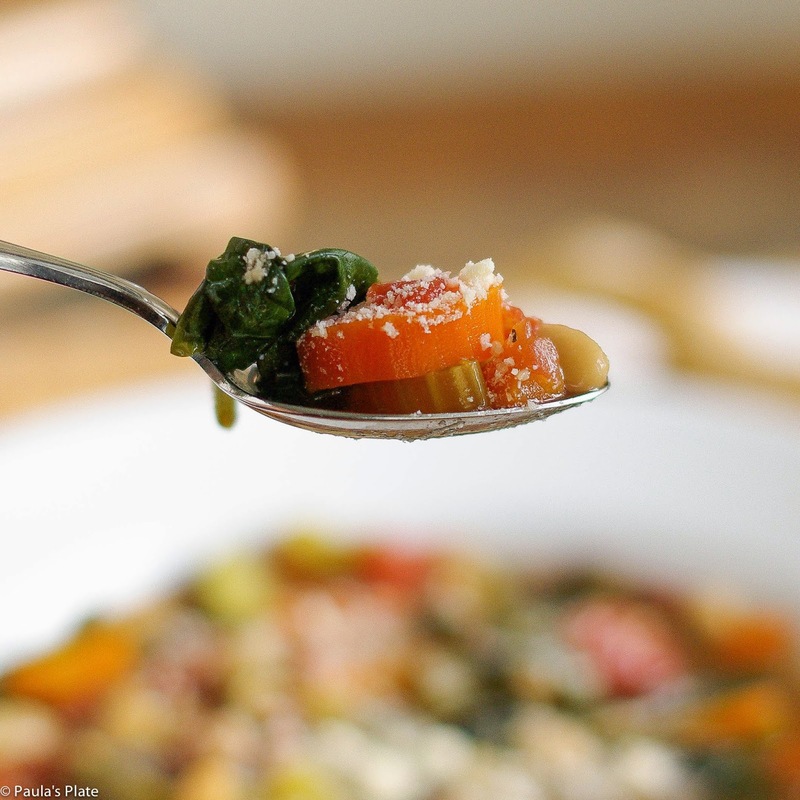 If you have ever had the minestrone from Olive Garden…it tastes like that, but even better. 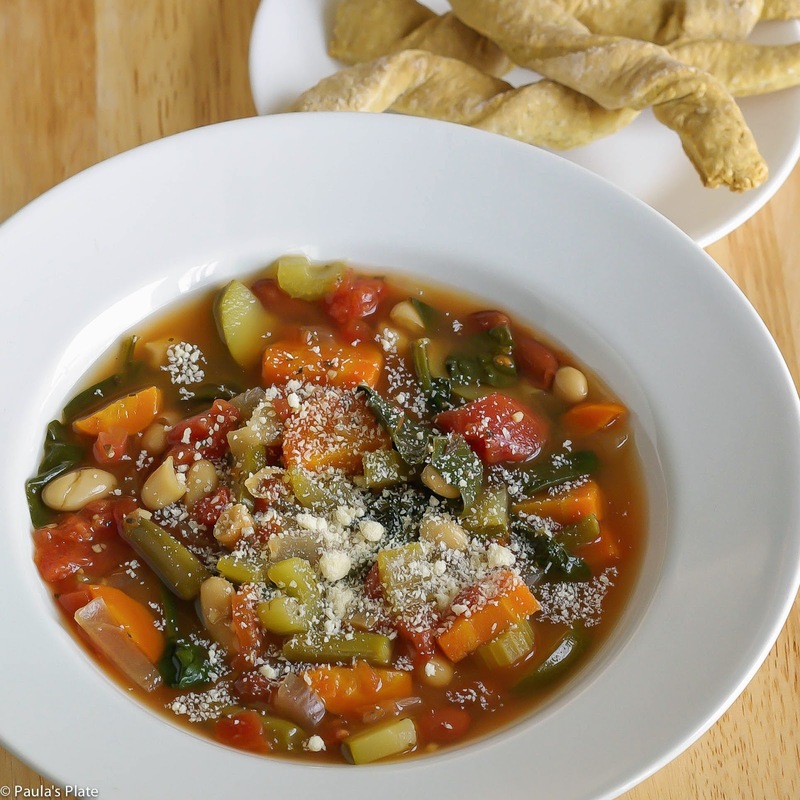 Packed with veggies, beans, and pasta, this hearty vegetarian soup is the perfect savory dish to serve on a chilly night. Enjoy! In a large slow cooker, combine chicken broth through 1/4 tsp. salt. Cook on low for 6-8 hours or high for 3-4 hours. Add in zucchini, pasta, kidney and cannellini beans. Cook on high heat for an additional 30-40 minutes or until pasta is tender. Stir in spinach and green beans and cook until heated through. Season to taste with additional salt and pepper, if needed. Dish into bowls, top with Parmesan, and enjoy!